The new food delivery app that's going to change the way we view takeout in the nation's capital. As much as we hate to admit it, winter is right around the corner. As the sun and flowers disappear for the season, so does the motivation to venture outdoors, even for food. However, you can now avoid the treacherous icy cobblestones that stand in between you and your favorite restaurants with new food pickup and delivery app OrderAhead. 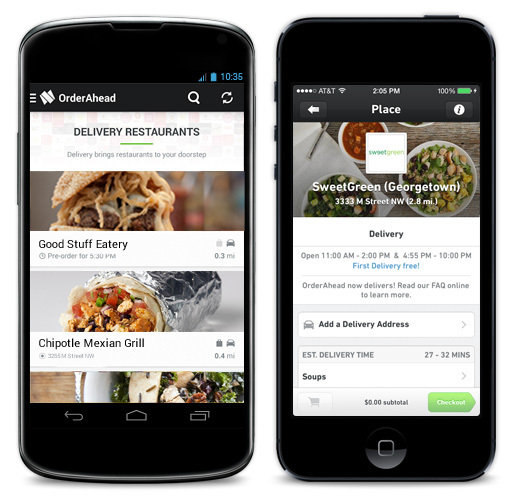 Founded in San Francisco in 2011, OrderAhead is backed by investors like the founder of Reddit. The app’s original goal was to help people avoid lines and delays that come with ordering and paying at local cafés. Now, it lets you order from your favorite restaurants in town without ever leaving your room. The app has expanded from the Bay Area to Los Angeles, and is now launching in DC and Arlington. Using OrderAhead is simple and straightforward: you download the app, create an account, assess your current craving, choose the appropriate restaurant and dish, and try not to salivate too much as you wait for the delivery. When you make the account, your credit card information is securely stored so you don’t have to worry about your wallet later. You can order lunch between 11am and 2pm, and dinner is served from 5pm to 10pm. One cool feature: you can specify the delivery time, so if you know at 8am you’re going to want a Stachowski’s sub for dinner, go ahead and order whenever you want. OrderAhead distinguishes itself from other food pickup and delivery apps in a variety of ways. Firstly, the delivery fee is a flat $6 rate—no surge pricing or traffic penalties apply. Additionally, many of the restaurants featured on the app do not already provide a delivery service. However, the cost of your meal remains equivalent to the in-store price, and the app has lots of deals and promotions. 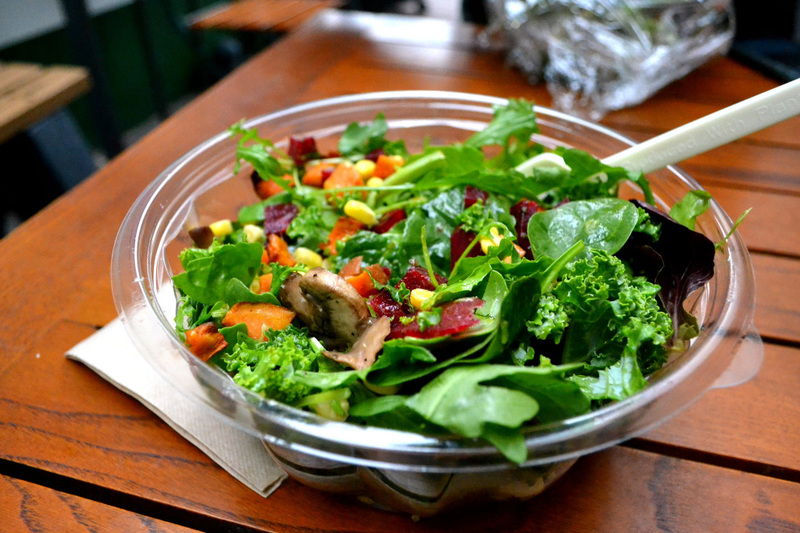 Salad-lovers: get excited, from October 21st-23rd, Sweetgreen’s new fall salads will be half price when you order through the app. OrderAhead also has a special deal for Georgetown students: sign up with your Georgetown email account and get two free deliveries. The defining aspect of OrderAhead is its user experience. As college students, we have enough stress as it is: eating should be as enjoyable as possible, and OrderAhead is the perfect way to summon your favorite foods right to your door.